On Tuesday, November 6th—almost 50 years to the day after Shirley Chisholm was elected to Congress—women of color made history throughout the country. Ayanna Pressley became the first Black woman elected to Congress in Massachusetts, after unseating incumbent Mike Capuano in the Democratic primary. Jahana Hayes (recognized in 2015 as national schoolteacher of the year) became the first Black woman elected to Congress in Connecticut. Alexandria Ocasio-Cortez of New York became the youngest woman elected to Congress this week after seizing an upset victory over high-ranking Democratic incumbent Joe Crowley in the primaries. Lauren Underwood defied the odds by defeating incumbent Randy Hultgren in the predominantly-white, traditionally Republican 14th District of Illinois. Lucy McBath entered the political arena to influence the gun control debate after her son, Jordan Davis, was killed in what many agree was a hate-driven crime. On Tuesday, she defeated Republican incumbent to become Georgia’s new Congressperson for the 6th district. Ilhan Omar of Minnesota became one of the first Muslim women ever elected the Congress. Simultaneously, she is now the first Somali American to ascend into the national legislature. Furthermore, Omar’s family came to the U.S. as refugees; her election is significant in a political climate where Donald Trump and other Republicans have fomented nativist and xenophobic resentment among the electorate. Native American women to be elected to Congress. Haaland, who hails from the Pueblo people of Laguna, won her campaign to represent New Mexico in the House of Representatives. 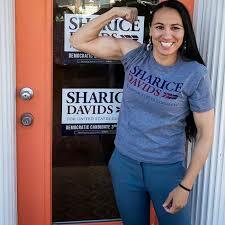 Davids, who hails from the Ho-Chunk tribe (also referred to as the Winnebago), succeeded in her mission to win a Congressional seat in Kansas. In a turn of events that disappointed those who hoped Tuesday would mark the rise of the first Black female governor, Stacey Abrams political future remains uncertain. But like Shirley Chisholm before her, victory for Abrams is not exclusively defined by the office itself, but in forcing the political to be more accountable and representative of the people in the years to come. 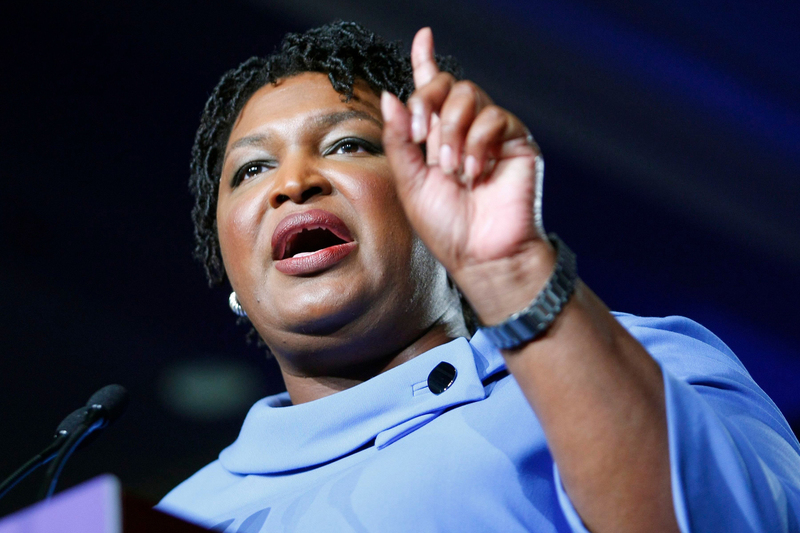 Abrams has refused to concede the contest to Republican Jack Kemp, determined for every vote to be counted and positioning herself for a run-off election. Kemp, who up until recently served as Georgia’s Secretary of State, has been credibly accused of using a range of tactics—purging voter rolls, refusing to register voters, and voter intimidation—to disenfranchise citizens. Abram’s decision not to concede may force the state and the country to face a long, ugly history of procedural racism in the South. Fannie Lou Hamer ran an “unsuccessful” campaign to become a Mississippi Congresswoman in 1964, but through the Mississippi Freedom Democratic Party, laid the groundwork for Black people to be an electoral force in the years to come. Shirley Chisholm ran an “unsuccessful” campaign to become president in 1972, but paved the way for the likes of Jesse Jackson, Hillary Clinton and Barack Obama after her. Stacey Abrams has built her entire political career around the idea that every citizen deserves the right to vote—not just in theory, but in reality—and her decision to continue fighting proves that she will stay true to that mission until the end. This is why, regardless of the outcome of the election, Abrams is still a winner. It was always unlikely that Democrats would be able to reverse the dominance that Donald Trump’s Republican party has established in all three branches of government. Nonetheless, we at the Chisholm Project are proud to live in a time full of leaders like the women listed above, who are willing to fight for every citizen’s rights, even against the odds. In Georgia, as in the rest of the country, Election Day 2018 is behind us. But the fight has just begun.